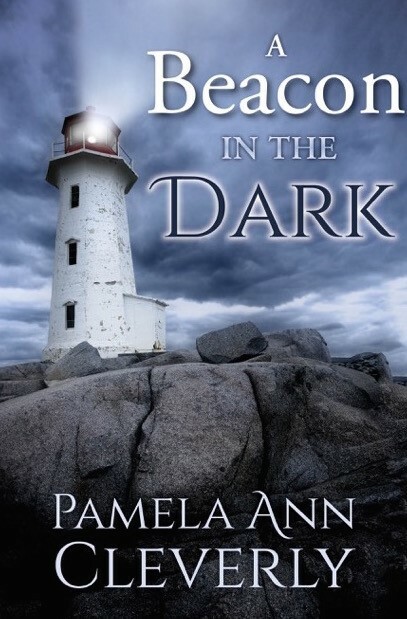 It’s been a crazy three months and I can finally sit back and take a breath before my next book, A Beacon In The Dark, launches. SEPTEMBER was filled with last minute editing and proofreading. Hours and hours and days and days spent at my computer picking apart a story that I thought was finished. Working with a new company on the cover design was a challenge but I’m happy with the end result. OCTOBER came all too quickly and I was off to Lexington, Kentucky for the Retired Racehorse Project. 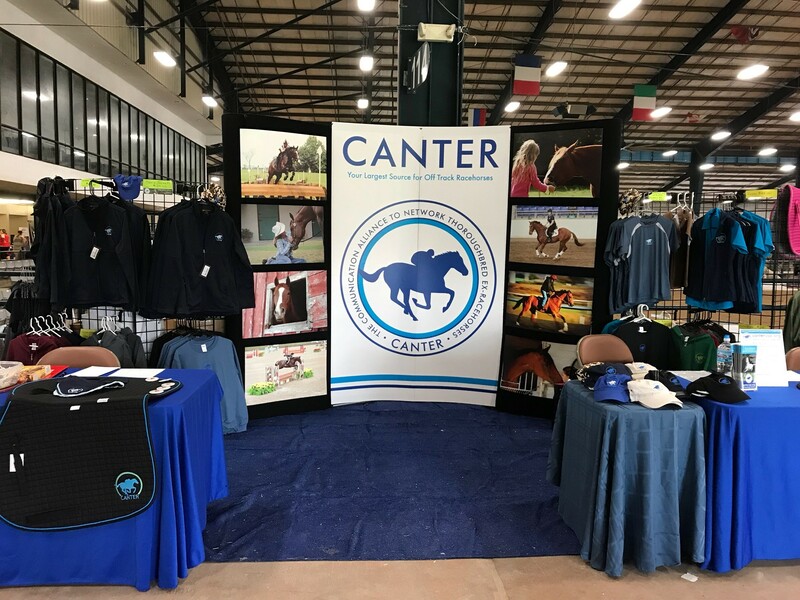 I arrived at the Kentucky Horse Park on Wednesday, October 3rd with the entire CANTER booth and much of the merchandise packed into my SUV. The four days was made even more exciting when I was able to tag along with friends who had the opportunity to meet Justify, who made racing history this year when he won the Triple Crown. Yes, I was honored to stand next to such an amazing athlete. But as a writer, I found myself studying the magnificent barn where Justify resides, the majestic gates leading to miles of stones walls and buildings so reminiscent of Ireland’s grand estates. Ashford Stud Farm cried out to me. There was a story somewhere in its rolling hills with the nickering of contented thoroughbreds. My imagination was running at warp speed. October 28th once again found me on the road to Kentucky. 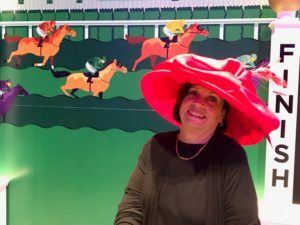 This time to Louisville for Equestricon at the convention center, a virtual Who’s Who of the Thoroughbred racing industry. Being the week before the Breeder’s Cup races, the atmosphere was electrifying and I jumped right in with the perfect hat. I stopped by the Coolmore booth. 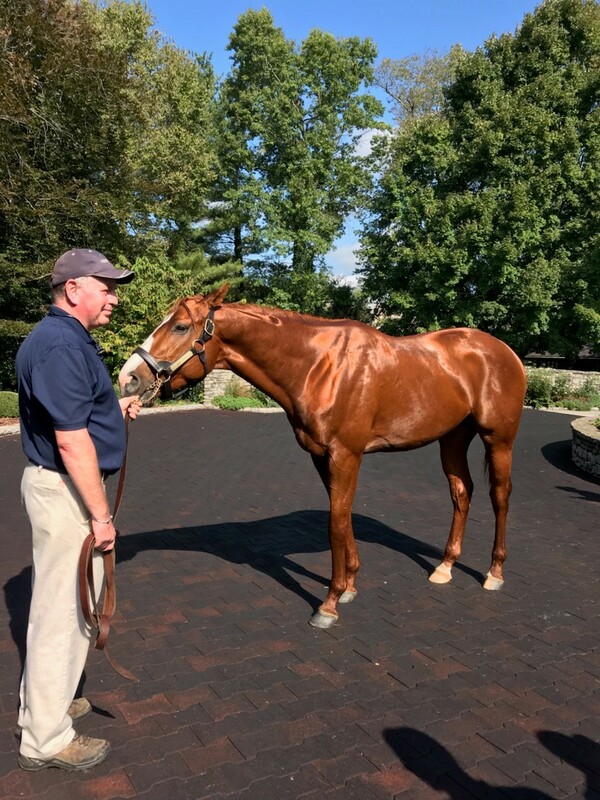 Ashford Stud Farm is Coolmoore’s home in America, so of course I had to tell the young lady my experience on my recent visit to Ashford and meeting Justify. I just happened to mention that I’m a writer and I can’t get Ashford out of my head. There’s a story just waiting to be told. She gave me her card and said when I’m ready to call her and she will take me on a tour and put the final touches on that book. I did mention that there would be bodies, but I wouldn’t kill off any of the horses. Hmmmm, maybe the horse will be the murderer????? The next booth brought me to Win Star Farms, and the same woman who had been our neighbor at the Retired Racehorse Project, a couple weeks before. 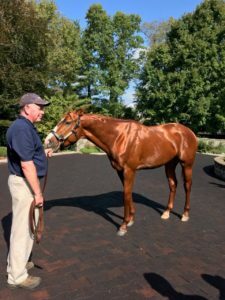 After chatting for a while about how I had met Justify, (he ran under Win Star Farms), I mentioned that I was a writer and wanted to set a book on a Kentucky horse farm. She gave me her card and told be to call her. She’d give me all the information I needed on how one of the largest thoroughbred racing farms operates. Looks like I’ll be spending more time in Kentucky. 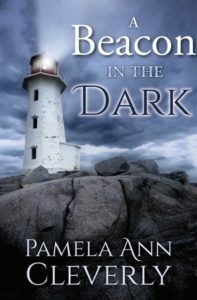 NOVEMBER proved to be a giant challenge as I worked with a new company to do the formatting for A Beacon In The Dark. Each week brought more proofreading, corrections and more proofreading. However, the hard work paid off and I am now looking forward to seeing my book in print.